I think back on countless trips to the movie theater to watch a rom-com in my teens and into my twenties. Maybe I was with my mom (who loved buying a box of Dots only to select out the green ones), or one of my sisters (who could drive), or as I grew older, I might have slipped out on a muggy summer night with girlfriends (cackling and running from that scorched air into the cool). Did you also love coming away from a movie all a-flutter? Also clutching the warm buzz that some super smart and handsome man would whisk you away from the humble humdrum of the everyday? 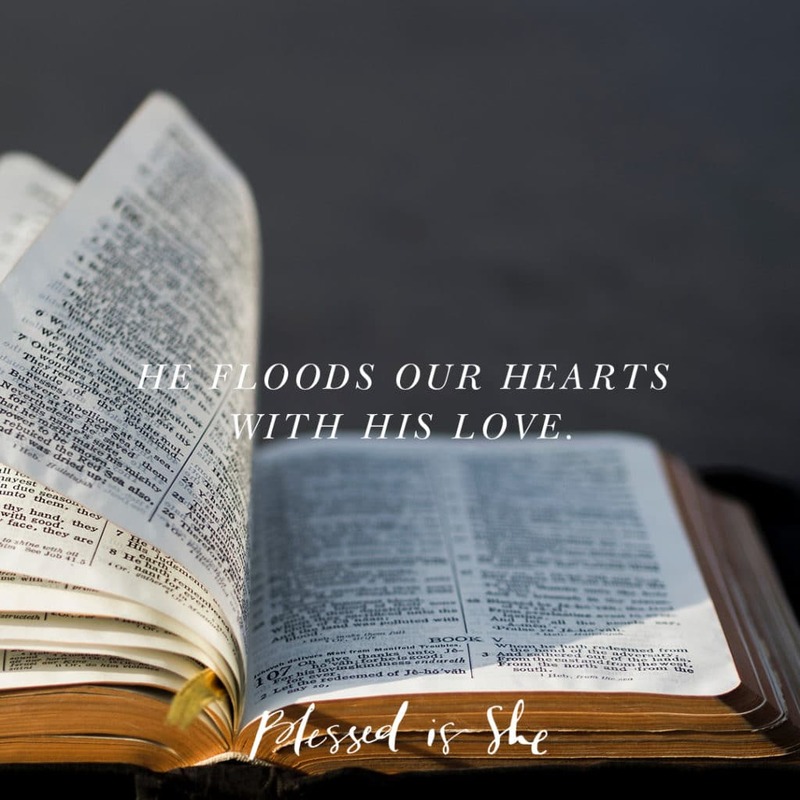 Our God will lift us up, us lowly normal gals, and flood our hearts with His love. He directs the purpose for our minds: to work hard on becoming Saints so we can be reunited with Him in the next life. His grace animates our souls to share joy and charity with those around us. He’s the ultimate romance story, and we are so lucky to have Him. If you’re also one who wants a happy ending for her love life, remember Who loves and fulfills us completely, and ask Him to help you know that more deeply. I love this reading and devotional. It’s so easy to get caught up in Romanitc love but I totally agree that God really gives the most fufilling love possible. The closer I am to the Lord the happier and more peaceful my heart is. God provides!